One of the most famous "Jeopardy!" champs of all time is moving to Manhattan. No, it's not Ken Jennings. IBM announced Thursday that it's investing over $1 billion to give its Watson cloud computing system its own business division and a new home in the heart of New York City. The Armonk, N.Y.-based computing company said the new business unit will be dedicated to the development and commercialization of the project that first gained fame by defeating a pair of "Jeopardy!" champions, including 74-time winner Jennings, in 2011. In the years since Watson's TV appearance, IBM has been developing the computing system for more practical purposes and changed it to a cloud-based service. Its massive analytical capabilities are currently being used in industries ranging from health care to banking. 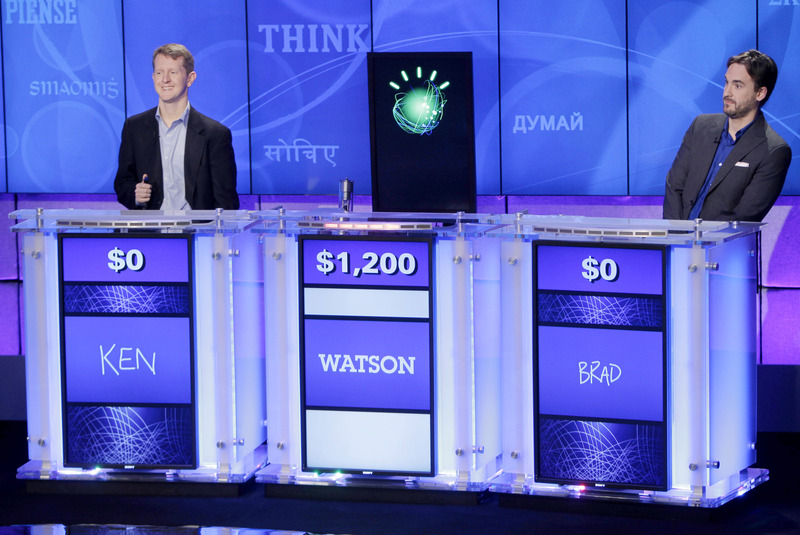 IBM says Watson is unique because it isn't programed like traditional computers. Instead, it learns from its past experiences and factors that information into its future operations. IBM CEO Ginni Rometty said that as a result, Watson is built for a world where big data is transforming every industry and every profession. "Watson does more than find the needle in the haystack," Rometty said in remarks released ahead of the company's Thursday presentation. "It understands the haystack. It understands context." As part of its investment, IBM is building a new headquarters for the business on the edge of New York City's East Village near New York University and other technology companies. About $100 million will go toward investing in startup companies that are building apps to be run through Watson. Eventually the business, which started out as a team of 27 people, will employ about 2,000, including several hundred at the new headquarters, IBM said. Michael Rhodin, a long-time IBM executive named to lead the new business, said the move marks the start of a new era for IBM and the new headquarters is meant to be a departure from the project's current research facility's sleepier surroundings about 40 miles north of the city in Yorktown Heights, N.Y. The angular glass building also will stand out from the rest of its neighborhood, which is home to some of the oldest buildings in the city. "The millennial generation gets this, they understand that this is," Rhodin said in an interview ahead of the announcement. "This is a departure. It's a statement on our part." The will have marketing and sales capabilities, while also hosting engineering and development work and collaborations with customers and startup companies looking to utilize Watson's capabilities.